I got a new title this past week- Craft Pusher. I think I’ll embrace it. 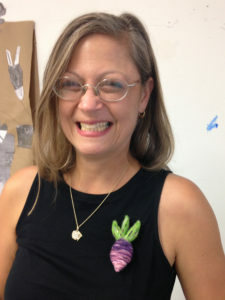 It happened when I was teaching an introductory workshop in needle felting, also known as dry felting, at the Tacony LAB. The “LAB” is a community art center in the local neighborhood where I live in Northeast Philadelphia and I work there as a coordinator as well as instructor. 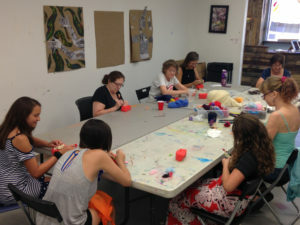 I had eight students around the tables shaping wool roving into small whimsical forms. None of them had ever tried needle felting before and each person was enjoying it immensely with the room experiencing periods of near silence with only the sound of poking needles. The classes at the Tacony LAB are free and include all supplies. Introductory classes like this are a great way to try out a craft you are interested in without investing in tools and materials. In the course of the workshop, it became apparent that many of the participants wanted to continue in the new techniques they had learned. In the course of the discussion that followed, I was labeled as a Craft Pusher. I’m happy to embrace it, as I have found it a delightful experience to bring new techniques and art forms to students who may not otherwise get the chance. 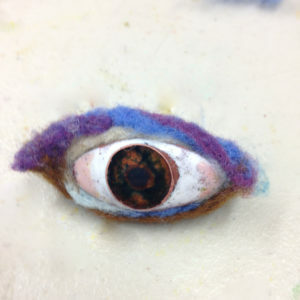 In the course of the workshop, I was busy working on an experimental piece that combined both vitreous enameling and needle felting into an eye pin or brooch. My life has always been surrounded by craft. Tools, materials and processes have shaped my approach both as an artist and educator. It fuels my curiosity about the ways that different techniques can be used in new ways. 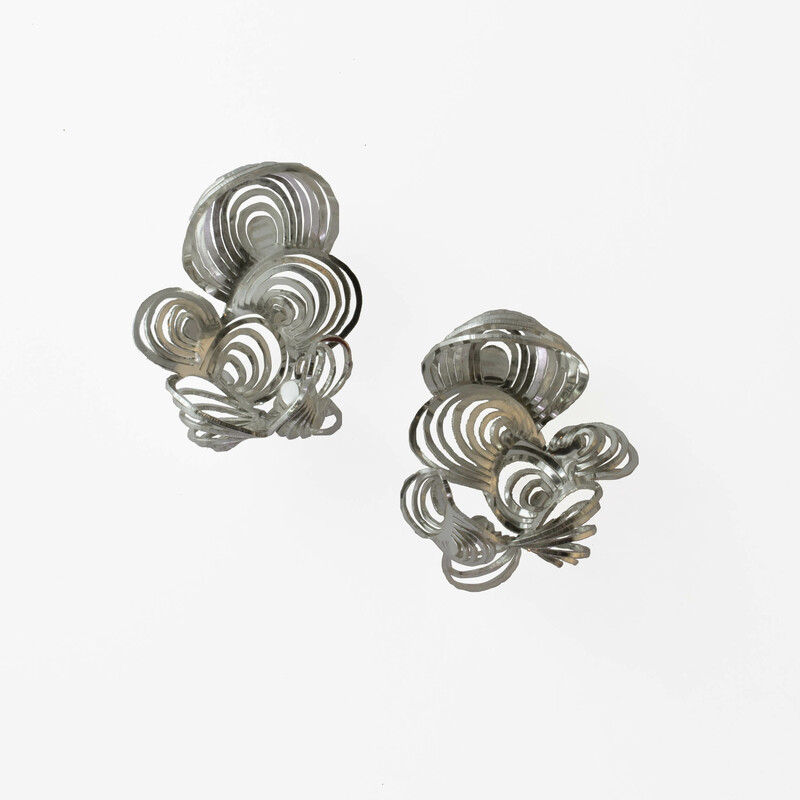 As a jeweler, interaction with the body and wear-ability are as important as the quality of the work, but as an artist and process geek, I can not help but constantly investigate new ways of making. During the late 1990s I lived on a sailboat docked on Toms River in Pine Beach, NJ. It was a beautiful place to live, but I was feeling a little isolated from friends and family. I was able to connect online with a group of women that eventually formed the core of an intentional family for me. We met in diners, each other’s homes and sometimes on the beach to celebrate the seasons. It was a magical time that lasted almost three years. As time passed we scattered, but all of these women still hold a special place in my heart. Sophia probably wandered the most, moving to the UK for several years and then returning to the US to settle in Maryland. Sometime last Fall she returned to her native Ohio to be with family and start anew. I was delighted to hear from her in November. Is Hand Made Jewelry really made by hand? The artisan jewelry market is growing in recent years with more and more people turning their jewelry making hobby into a side business. One only has to walk through the craft section of a book store or the jewelry making aisle in your local craft store to see how popular it is to make jewelry. So what is hand made jewelry? Continue reading Is Hand Made Jewelry really made by hand? The inspiration for jewelry design can come in many different areas. 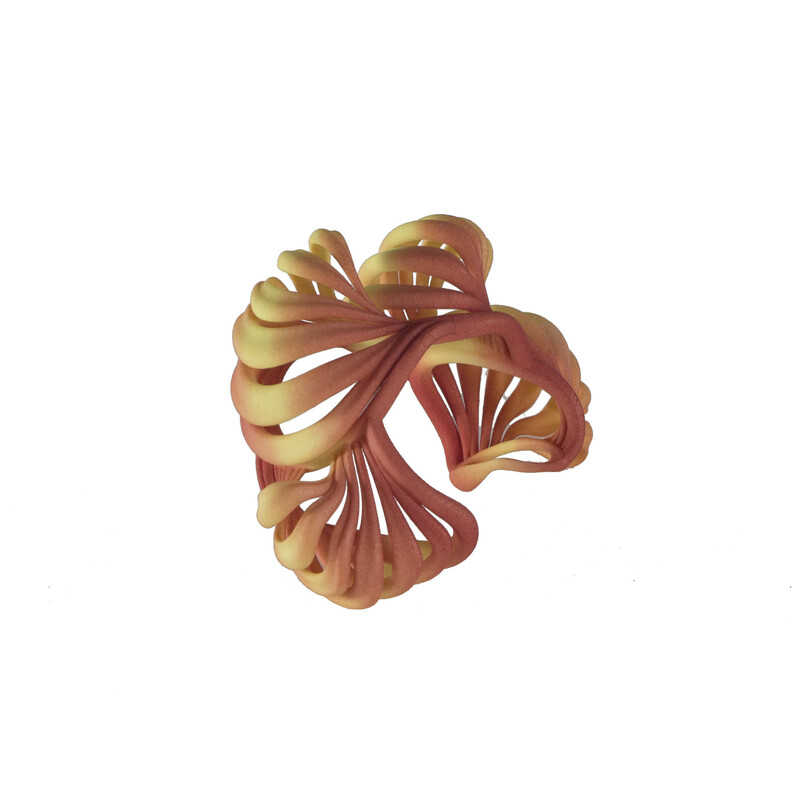 Nature, architecture, even the human body itself can offer ideas and forms for creating a piece of jewelry. 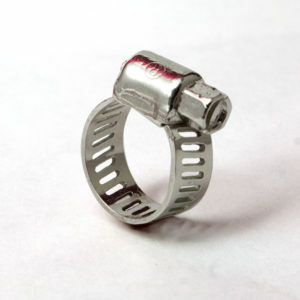 Because the jewelry is usually an expression of the person wearing it, design is as varied as individual people. The nature of wave forms and my visualization of the way they travel through water and air has inspired much of my work in recent years. Doodles and sketches in the margins of my notebooks end as a labyrinth that grows organically to eventually take over a the entire page. Continue reading Where does inspiration come from?